Hair extensions, otherwise termed with artificial hair integrations, are becoming more popular in the world of fashion. It is a method of adding length, thickness, or flair to one's hair. Unlike other forms of hair pieces, you still get to show your natural hair. The only difference is that you are adding artificial hair to your natural locks, which results in a perfectly beautiful and fashionable combination. The types of hair extensions evolve according to trends and needs of people. 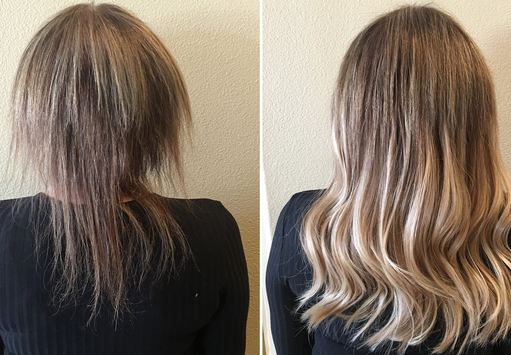 These extensions vary according to style, color, and mode of attachment. The latest and perhaps the best type of hair extensions so far is the heat-free protein bond. It is made primarily of keratin just like our natural hair and it can be customized according to your styling preference. It is applied using ultra-sonic vibration which softens the hair while it is being attached. This type of extension can cost $20-$60 per piece. Another type is the classic-bonded extension. Another type is the classic-bonded extension. This is an individual extension which comes in different sizes and can be blended with the pattern of your hair. It is also safe for most types of hair textures and colors. This type of extension uses glue to attach. When using a classic-bonded extension, you need to avoid using a curling iron so as not to melt the bond and remove the extension. It is quite expensive, though, and it can cost $10-$200 per piece. 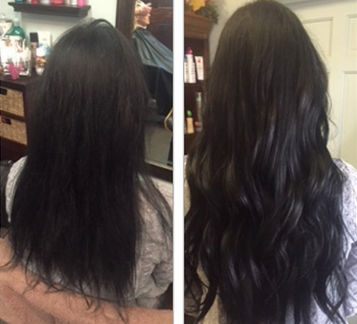 Shrink tubes also termed as "shrinkies" is another new approach to hair extensions. It uses transparent plastic tubes to attach the extensions to your hair. Shrink tubes are great if you want to achieve a "lion look" or curly hair. It usually costs around $10-$20 per piece. 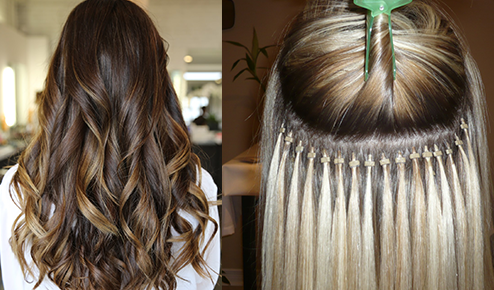 Swing-weft extensions are cheaper because they are easier to apply and attach. This type of extension allows a natural swing to your hair because they are applied not so close to the scalp. A swing-weft will cost you around $50-$95 per piece. Another kind of hair extension that uses human hair is called temporary extension. This is less expensive than the other types but is also made of quality hair. It is also easy to attach and remove, just clip it on and remove it with no complications. It can also be styled, ironed, curled, and blow-dried without harm. Temporary extensions are best for special occasions, short-term use, or hair styling trials. This can cost $46-$96. Taped-weft or skin-weft is another type of extension which is suitable for those who have fine and thin hair. This is applied using tape and an iron and is placed flatly against the scalp. Having this kind of extension can cost up to $30-$100 per piece. A chemical-free method of having highlights is the clip-in extension. This is most popular among teens because it is safe as no chemicals are used to color the hair. This can cost up to $25.7-$30 depending on the length. Sewn-in weft, also known as weave, is a natural way to have extensions. It takes a longer time to apply but it is very cost-effective. This type costs $5-$50 per piece and needs to be regularly maintained. So before you decide to wear hair extensions, you need to evaluate what type suits you best and how much you can afford. An expensive hair extension doesn't always mean it is the best. There are inexpensive types that can still offer good quality and comfort. You just have to do some careful planning and researching first.